The Students for Life of America group (SFLA) at Western Washington had chalked messages that were primarily pulled from Silent No More, a group that seeks to provide support for women who have had abortions. Shortly after completion of the chalkings, a group of pro-abortion students set to destroying the work, pouring water over the messages and scrubbing them away. One SFLA member asked a student who was destroying the chalk art if their plan was to erase all the messages. “Just the really s—– ones,” the student replied. 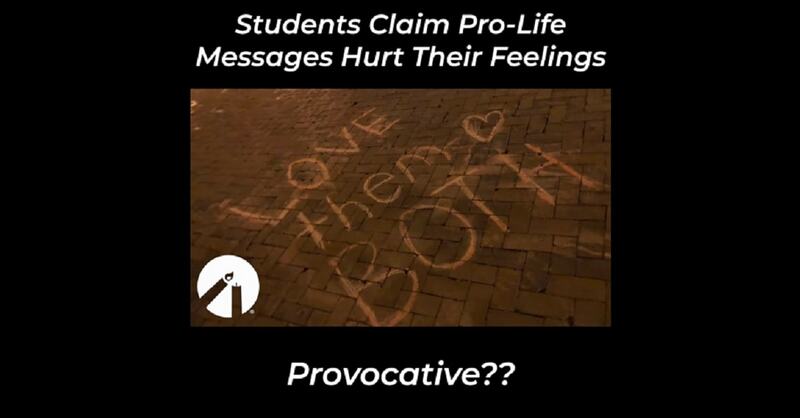 When asked which messages were problematic, the pro-abortion student responded that the destruction was aimed at “ones [messages] that are like actively hurtful.” The activist then informed the pro-lifers that “writing anti-choice s— all over” was harmful. After the abortion advocates finished destroying the original chalkings, the pro-lifers re-chalked the area. However, the university’s maintenance team was instructed to remove all the chalkings the next morning. When SFLA promptly asked the administration why the chalkings were removed, they were told that the university only removes chalkings that are “provocative” or hate speech. However, Club Activities Coordinator Jennifer Cook emailed SFL’s contact person to apologize and explain that there must have been a miscommunication. This is yet another example of the marketplace of ideas being put to death. I find pro-abortion arguments to be morally bankrupt, offensive, and scientifically inaccurate. Yet, did I destroy the pro-choice messages that covered my college campus? No. 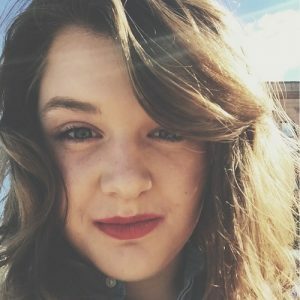 Pro-lifers have quite the challenge in front of us: engaging a group of people who do not want to have their thought processes challenged, and who seek to silence the opposition. Overcoming this adversity is going to be one of the greatest feats in the fight to end abortion. The prevalence of this sort of hypocritical intolerance and denial of civil rights by those who claim a mantel of supposed Progressive superiority is why I can hardly stand to visit my home state any more. Not at all surprised this sort of vile behavior was excused.